We offer courses from half a day to two days on various topics within our domain. Having worked on numerous cloud applications in an agile way ourselves we keep practicality in mind, these courses are meant to inspire you and your team. We also offer tailor made courses for your organisation. 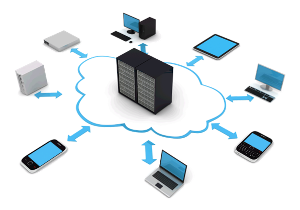 Our introduction to cloud computing, during this course you will learn the basic concepts of cloud computing. Dive deeper into cloud sourcing and governance, discuss privacy, security and risk when moving your applications to "the cloud". We will also talk about cloud architecture and how cloud applications differ fundamentally from traditional applications. This course can be given in either a half or full day. 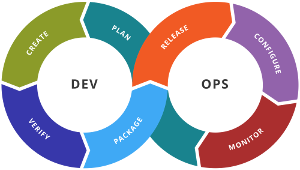 Most people have heard of the term DevOps by now, but what does it mean to truly embrace the DevOps way of doing things? This course focuses on empowering your organisation with the tools and responsibility to allow for "Continous Delivery". During this course you will learn how to collaborate, build, test, deploy and run your application in "the cloud". This course can be given in a full day.